« The McDonald’s Coffee Challenge – Zurich…. 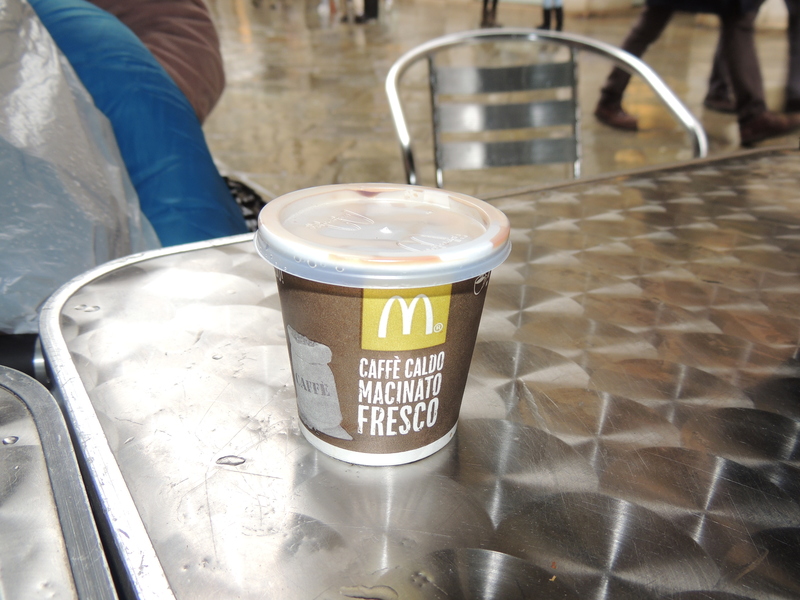 McDonald’s Coffee Challenge – Venice…. Okay, this really rankles with me – buy a McDonald’s coffee in a country where coffee is perfection?? This really is going above and beyond, but a challenge is a challenge, so here it is…..
We did have a good laugh though when we got the smallest coffee in the dinkiest cup. I wouldn’t drink it and went and had a proper coffee from a proper Italian instead. Now how many has that been today? I hope I can get to sleep tonight; oh well, it will be worth it!